Use mutual funds and exchange-traded funds to invest in stock sectors. Investing in stock sectors eliminates the problem of picking one winning stock from more than 2,000 candidates. Stock sectors move with or against the larger economy, which helps eliminate the unexpected price fluctuations that can ruin an otherwise good stock trade. Investors can invest in stock sectors through exchange-traded funds and mutual funds. Use the Dow Jones Industrial Average, Standard & Poor’s 500 and Nasdaq Composite to help you determine if the economy is expanding or contracting. Decide if you want to invest in a stock sector that's following the economic trend. Review the sector categories and decide which one is moving in the direction you want to trade. Choose from the eight sectors that are most commonly identified as communications, financials, health care, natural resources, precious metals, real estate, technology and utilities. You can trade each sector by investing in mutual funds and exchange-traded funds, or ETFs. Go online and find a free mutual fund screener. Click on the drop-down menu and select a sector category. Refine your search by selecting a particular fund family, rank in category, ratings, performance returns, purchasing, fees and holdings. 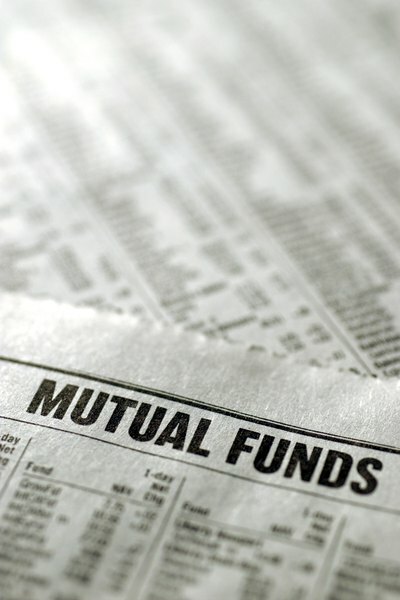 Click on the "Find funds" button to get a list of mutual funds that meet your investing criteria. Review the list and adjust the criteria to further refine your search. Repeat this step as needed. Follow the same procedure to find an ETF. You can use the free screener offered by Bloomberg, the "Wall Street Journal" and Market Watch to create a list of ETFs that meet your trading strategies. Refine your search and repeat as needed. Go to the home page of the mutual fund you selected. Complete the online application to open an account. Once the account is opened, fund your account and buy shares of the mutual fund sector you selected through the trade order entry page. Now go to your online stock trading account and pull up your order entry page. Enter the symbol for the ETF, type in the number of shares and select the action. Wait for the order to be confirmed before closing out the page. Monitor your sector trade just as you would a stock or futures trade. Just because mutual funds and ETFs are managed doesn’t make them buy-and-forget investments. Some stock sectors are more volatile than others. Choose a sector that’s within your risk tolerance limits.